LNK-P100A fiber distribution box is Optical Network client FTTH wiring equipment, mainly for light transmission terminal into the heat sealing, spectral, wiring the output, and other functions, can be effective for terminating cable, protection and management, for the necessary equipment in the process of optical network transmission. 1. The product is made of PC and glass fiber hybrid after granulation after high temperature injection molding, plastic industry "alloy steel" title, product appearance smooth lines, is to prevent water, prevent fire, to prevent the impact of three protective function, reach the grade IP55 protection ability. 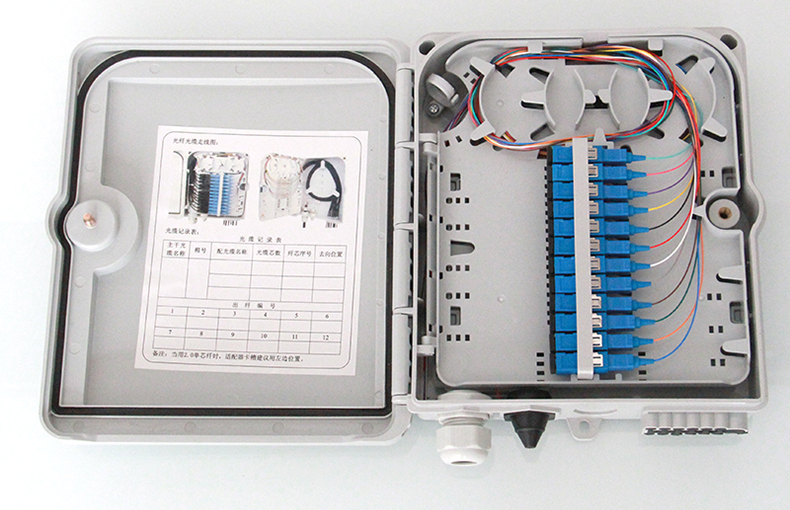 be used as optical fiber branching box use, convenient and flexible to operate.